Nowadays, patients who require braces to align their teeth have many options to choose from. Options will vary from patient to patient, depending on what their dentist recommends – but typically there are two options: metal braces or clear braces. It is important to look at the benefits of both types of braces before making a final decision on what type is preferred. These braces are made out of high-grade stainless steel, and are one of the most widely chosen options for aligning teeth. Newer designs are sleeker and smaller than their previously used counterparts. Patients can choose fun colours for the banding, which makes them popular with kids and younger dental patients. The advanced bracket systems make traditional metal braces more comfortable than ever, while still being the top choice by dentists for the alignment of many mouths. Additionally, metal braces tend to be very affordable when compared to other options. Clear braces made of ceramic which is made the be the same colour as the tooth are intended to blend with the natural look of the patient’s teeth. This type of braces can be used for any age group, and they tend to have a fairly quick turnaround time for results. Treatment using ceramic braces may also include use of clear or white bands or wires that blend with the tooth colour. The cosmetic appeal of this braces type make them popular for adults. 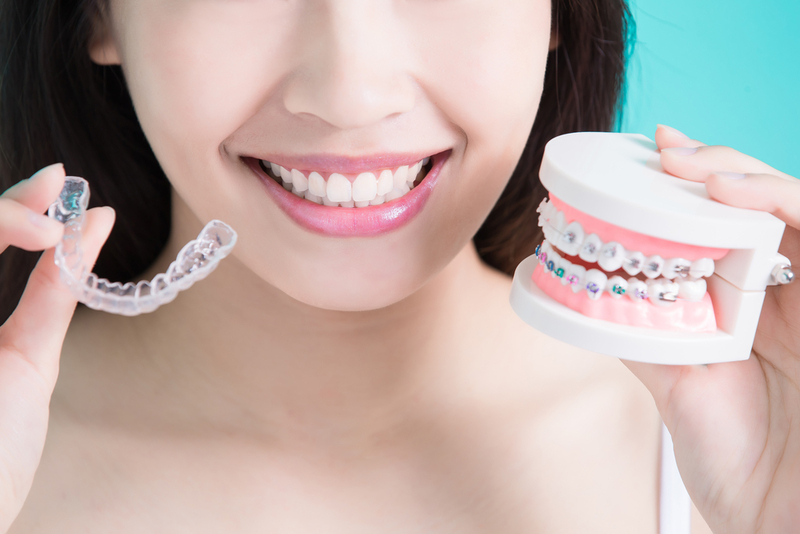 Both clear ceramic braces and traditional metal braces are good options for aligning teeth. 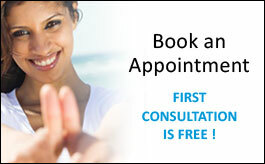 Both options are generally available for all ages of dental patient, and one may be recommended over the other. Work with your dentist to determine the best treatment plan for your mouth.